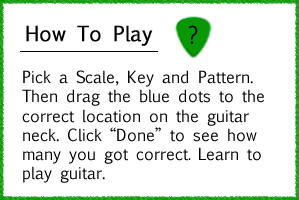 How to Play - Pick a Scale, Key and Pattern. Then drag the blue dots to the correct location on the guitar neck. Click "Done" to see how many you got correct.